Garrison and Vaughan point to many critical elements of a blended learning course environment, such as designing for open communication, trust, and critical reflection and discourse. So how do you begin to design a blended learning course or a module with these elements in mind? How do you identify learning goals that are fundamental to these elements? What is your road map for ensuring that the lessons that you plan and the tasks that you assign actually help students meet those goals? For this, it is helpful to consider a few well outlined and defined instructional design approaches that can guide you toward these goals. All of these approaches offer a conceptual framework for thinking about your students’ learning and a rough template for how you might begin with planning your course. While each approach offers a slightly different set of instructional design principles, you will notice that there can be quite a bit of overlap between elements of the various approaches that borrow from similar teaching pedagogies. All of these approaches are not necessarily unique to blended learning course design and highlight good pedagogical practices and course design for any learning environment. Given that, keep in mind that none of these are strictly prescriptive and are flexible design outlines; it is entirely possible to blend parts of multiple approaches into your own unique design approach that is the best combination for your personal course design needs. Backward design is a widely studied and implemented design model and perhaps the most commonly used one. It is also a fundamental model for educational innovation–here on our UW-Madison campus and elsewhere–that encourages instructors and course designers to be attentive to student learning goals, the course outcomes, and efficient course and curriculum design. The prototype design model is also frequently called iterative design, modular design, or scalable design. 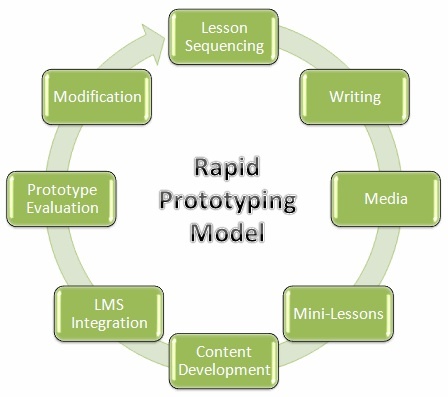 The prototype design process is based on the principle of incremental course redesign combined with constant reflection on how well this redesign worked; the instructor redesigns portions of the course (or modules) one at a time and immediately evaluates their efficacy, makes changes, and then “retests” the module before moving onto another course component. These course modules that the instructor designs can mean anything from a 10-minute segment of the face-to-face lecture to an entire 2-week-long lesson in the course curriculum. For this reason, the prototype model can be especially helpful to instructors who want to progressively move from an entirely face-to-face teaching model to a blended learning model and are not able to do an entire course redesign for a blended model before the course begins. The multimodal design model focuses on the delivery of the course content and materials and encourages the instructor to provide as many learning modalities as possible to give students a choice of pathways to learning that correspond to their individual learning strengths and skills. This means incorporating various methods of face-to-face instruction/learning and online learning in the course with the goal of responding to as many students’ learning styles as possible. The multimodal design approach IS blended learning at its core, but how it is structured can vary widely: the face-to-face and online environments can “duplicate” lectures and activities, the instructor could primarily use a face-to-face or online environment but incorporate diverse activities in the other non-primary environment, or the instructor could include a true mix of both environments. 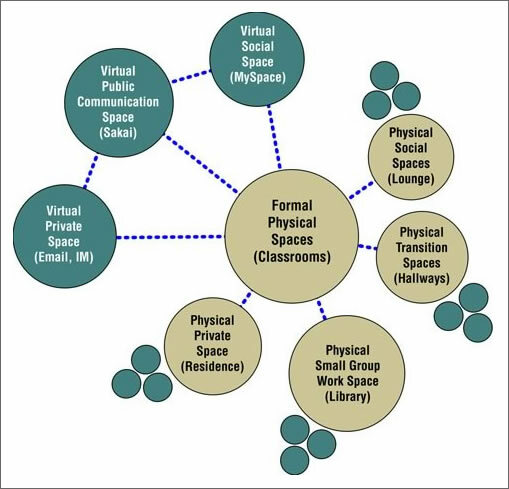 The key concept is that the multimodal model promotes multiple points of access to materials in each environment and learning space (for example, the online environment might be a computer lab one day, an at-home assignment another day, and an online lecture the next). The learner-driven design model is frequently used in K-12 education and encourages student-instructor collaboration, to some extent, in order to set learning goals and objectives. 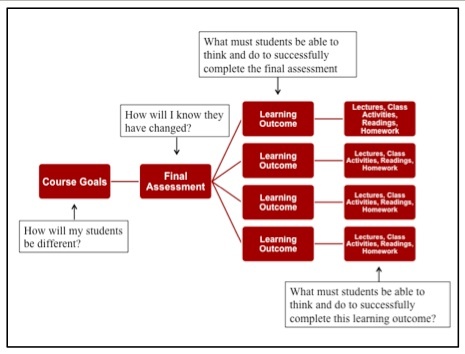 This design model enlists the users (students) to be active goal setters in their own learning and ask them to participate in a “feedback loop” of sorts that will ultimately determine the learning objectives of the course. Learner-driven design concepts are fundamental in all instructional design approaches, since all approaches are student-centered and consider the best pathway to effective student learning when designing a course. The strict learner-driven design model takes this student-centered curriculum one step further and relies heavily on classroom collaboration and the role of the instructor as the “facilitator” in students’ learning processes. How does a formal instructional design process either change or support the way in which you build your course interactions? Which design model resonates with you and why?